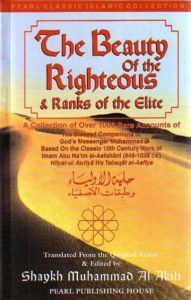 The library provides textual resources regarding the venerable ‘Uthman ibn ‘Affan, may Almighty Allah be forever pleased with him. Click on the book covers and you can buy a copy for yourself. To the right of the book covers, you’ll find links to excerpts from these books. If you have any book/reading suggestions that have relevant excerpts, please get in touch at z at zeshansyed dot com. 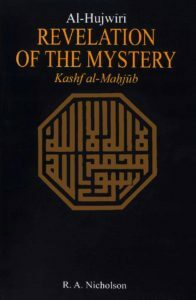 Revelation of The Mystery (Kashf-ul-Mahjub) by ‘Ali B. 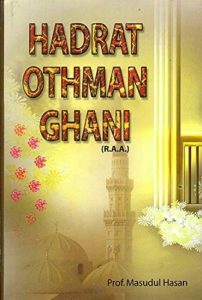 ‘Uthman al-Jullabi Al-Hujwiri [Data Ganj Baksh]. Trans. R. A. Nicholson, Gibb Memorial Trust, London: 1976.
by Imam Jalal ad-Din as-Suyuti, trans. ‘Abdassamad Clarke. 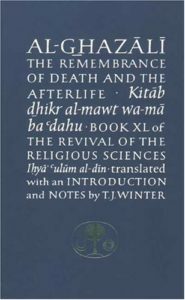 Ta-Ha Publishers Ltd., London: 1998.
from the Revival of the Religious Sciences (Ihya ‘ulum al-din), Book XL: The Remembrance of Death and The Afterlife, by Imam al-Ghazali, trans. Shaykh T. J. Winter. 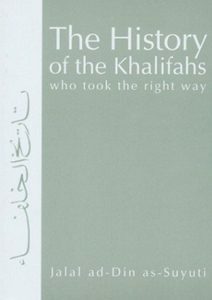 The Islamic Texts Society, Cambridge: 1995.
by Imam Abu Na’im al-Asfahani, trans. Shaykh Muhammad Al-Akili. Pearl Publishing House, Philadelphia: 1996. J. Spencer Trimingham. 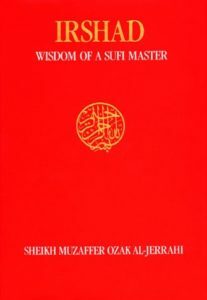 Oxford UP, London: 1971.
by Sheikh Muzaffer Ozak Al-Jerrahi, trans. Muhtar Holland. An Ashki Book of Amity House, Warwick: 1988. 393 and 394 : “ii. Love and respect all the Companions of the Messenger of the Lord of All Worlds. Thus they love and respect Abū Bakr, ‘Umar, ‘Uthmān and ‘Alī, each and everyone of them. 456 : “Gabriel said to me: ‘O Messenger of Allāh, would you not like to see the source of these rivers?’ When I said: ‘Yes’, the dome opened up. Inscribed within it was the sentence: Bismillāhi’r-rahmāni’r-rahīm / In the Name of Allāh, All-Merciful and Compassionate. 572-575 : “When the Messenger of Allāh hears that he is the first to be gathered up, he will set the blessed crown upon his head … as he asks Gabriel: “My brother Gabriel, where is my Friend of the Cave? Where are my Companions and Helpers? 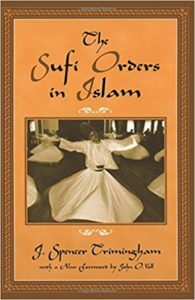 Where are Abu Bākr, ‘Umar, ‘Uthmān and ‘Alī?